Italian voters go to the polls on Sunday (4 March) in a highly-uncertain general election that could send shockwaves across the EU. A few days ahead of the vote over 30 percent of voters were still undecided. Meanwhile new electoral rules combine proportional representation with the first-past-the-post system, which could result in a fragmented parliament with no coherent majority. 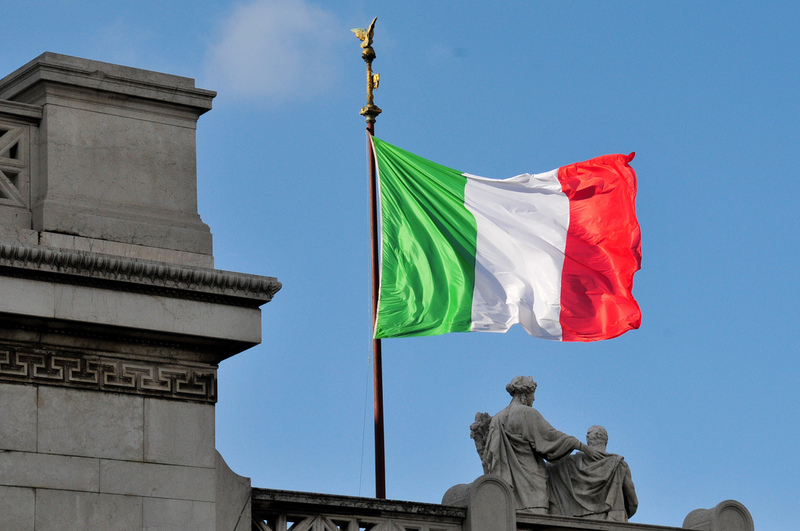 "Italians are inconstant" making predictions difficult, Gianfranco Pasquino, a professor emeritus of political science at Bologna university, told EUobserver. But he noted that the vote will be decided on three main issues: "the number of migrants [coming to Italy] and how they are received, the creation of new jobs and the need for changing the way to do politics." In 2017, after interior minister Marco Minniti struck an agreement with Libyan authorities, the number of new migrants reached its lowest in four years, at 114,606. 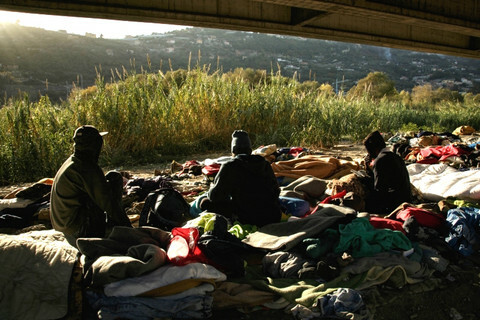 But after several years of mass arrivals, "the issue of migrants is so important that it is changing the political landscape and will have crucial impact on the elections," said Roberto D'Alimonte, dean of the department of political science at LUISS Guido Carli University in Rome. 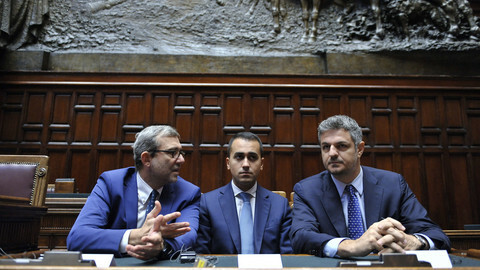 The right-wing coalition, led by Silvio Berlusconi's Forza Italia, includes two anti-immigrant parties - the League (formely Northern League) and Brothers of Italy. It has proposed a range of measures from blocking migrants arrivals through more agreements with African countries, to intercepting and sending back migrants' boats. 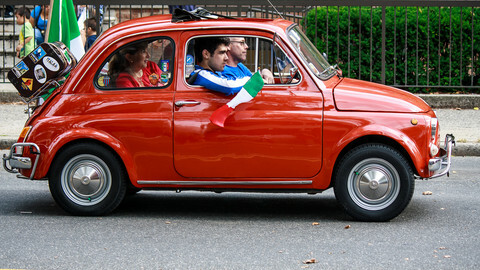 This approach could appeal to voters, because "Italians are worried," noted Pasquino. Forza Italia's main competitor, the anti-establishment Five Star Movement (M5S) has also led an anti-migration campaign, aimed at stopping boats that brings migrants to Europe. The centre-left, led by the ruling Democratic Party (PD), has argued for the continuation of its policy of agreements with states of transit, combined with fighting illegal trafficking, saving human lives in the sea, helping NGOs, and accepting those who flees from wars and persecutions. "Minniti's agreement [in Libya) was rational. He managed to avoid the danger for Italy becoming the haystack on which the League could throw its match," said Sergio Fabbrini, the director of the LUISS School of Government in Rome. Italy's place in the EU will also be at stake in Sunday's vote, depending on which parties will be able to govern. Italian parties are split between "those who support a sovereign vision of Italy and those who don't," Fabbrini said, noting that the issue was largely avoided during the campaign. "The real division is between those who want a Europe of Ventotene and who wants a Europe of Visegrad," he said. The 1941 Ventotene Manifesto by Italian politician Altiero Spinelli is considered as a founding document of the European federalism movement. The group of Visegrad, that includes the Czech Republic, Hungary, Poland and Slovakia, rejects migration and calls for a transfer of powers from EU institutions back to member states. 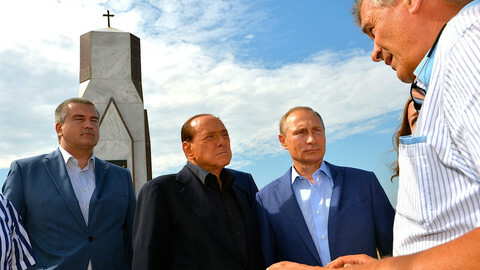 Berlusconi has presented himself and his coalition as a part of the pro-EU family. 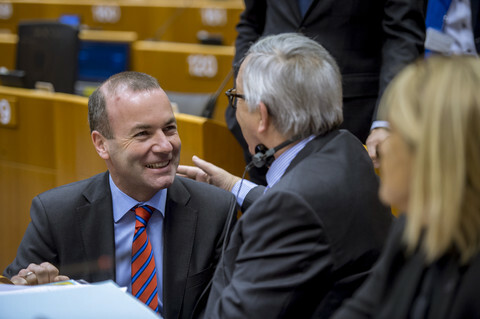 He flew to Brussels in January to reassure Italy's EU partners, and said he may chose Antonio Tajani, the current European Parliament president, as a candidate prime minister. The 81-year old Berlusconi is himself barred from office over a sentence for fraud. His allies, however, count among the 'sovereignist" parties, along with the M5S and a part of the far-left. All of them, except the M5S which changed tack during the campaign, reject the EU limit of a three-percent deficit. The League "has a vision that in France would be Le Peniste and wants also to pull out of the eurozone," said Fabbrini, referring to the French far right leader Marine Le Pen. If a 'sovereignist' government resulted from the election, the political scientist pointed out, "Germany and France would leave us to our destiny and Italy would live [through] again the critical experience of 2011," when high interest rates destabilised the country and the eurozone and led to Berlusconi's fall. European Commission president Jean-Claude Juncker warned last week of a "a strong reaction of financial markets" if Italy was left with "no operational government." But for a country with a debt that represents 132 percent of its GDP and needs to find money on markets, the problem would rather be "having a sovereignist government," Fabbrini argued. The scenario could become reality if M5S comes ahead and finds coalition partners, such as the League. Under the leadership of 31-year old Luigi di Maio, the anti-establishment and populist party has moved towards a certain degree of mainstream institutionalisation. Despite "paying tribute to the Italian democracy and taking note that institutions must be respected, they do not have enough experience and competences to rule," said Bologna university's Pasquino. "You can't rule a country with people turning into improvised ministers," he said. Amid the uncertainties, centre-right coalition, which has 38 percent of voting intentions in recent polls, seems to have the highest chances to get a majority on its own. A centre-right led government would have a "operational capacity" in the short term, but in the medium term, "divisions between the League and Forza Italia over their objectives would deepen," warned LUISS University's D'Alimonte. 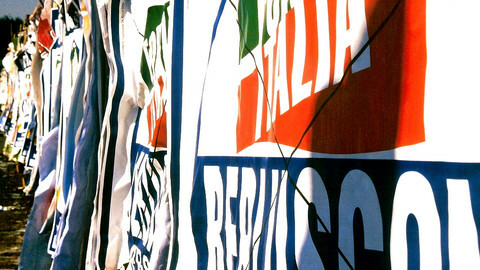 A second scenario is one of a German-style grand coalition between Forza Italia and the PD, whose campaign was led by former prime minister Matteo Renzi. 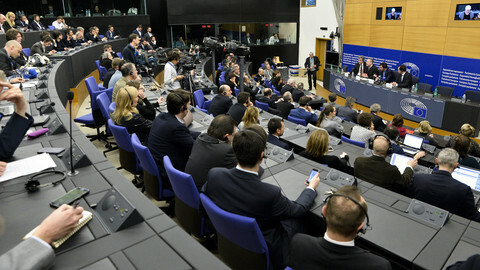 "That would be the preferred option for markets and European institutions," D'Alimonte said. A last option, far from being unlikely, would be a lack of a parliamentary majority, a government of national unity led by the current PD prime minister Paolo Gentiloni and, eventually, new elections. Italian voters are heading to the polls on Sunday and Monday in a closely-watched race that could bring the country to the brink of a bailout. 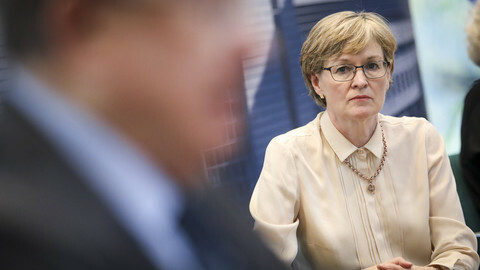 Irish politician Mairead McGuinness is being tipped to replace Antonio Tajani as EU parliament president if he becomes Italian prime minister.